Did you ever wonder what they are? Well, I did. So I created a survey and asked career practitioners and recruiters what they thought. Here is what I learned. Interview Mistakes #1: Not doing the research strategically –or at all. By far candidates not doing the research on the company was the number 1 of 5 interview mistakes. “It’s only a phone interview, I will wing it” was one quote that was shared in the survey. This continues to amaze me as there are so many ways to research a company now: company website, Facebook, Twitter, Instagram, LinkedIn, and more. Yes, this takes time but it is clearly one way to set yourself apart from the rest of the people when you do it. Career Practitioner tip: Help your clients see the importance and benefits of the research — and doing it well. What should they be looking for? The employer’s objectives in hiring. What are their ‘pain points’? What problems does this position solve? What is the mission and values of the employer? (i.e if they value volunteer work, make sure it is on your resume). Who works there and what do they like about it? (Use LinkedIn to try and identify people who work there now or worked there in the past, and then see if you can find their email to contact directly to learn about company culture). Preparing for the interview entails a number of things from really reflecting on what the company is looking for, anticipating interview questions and your answers, to working on articulating how you solve their problems. Too many candidates did not read the job description closely enough for skills and expectations. Once you know what the employer is looking for, then you must be able to articulate your skills to solve their “pain points”. Often candidates simply can not “sell” his/her talents and skills to the interview team clearly enough to convince them to hire him/her. Career Practitioner tip: Work with your clients to clearly define the top five or six essential skills they have to offer the company. Each person is unique and often cannot see their own strengths. “This is easy…everyone can do this.” “Nope, no one can do it like you” is my response. (Check out my webinar on Developing Value-Added Statements for Your Clients). It is not what the candidate gains from the position, but what the candidate brings to the company. (Back to the value-added statement). Our clients really need to think about this position from the employer’s point of view. Put themselves in the shoes of the interviewers and reflect on what they are looking for. And then give it to them. When working with college students, I was constantly hearing them say in their mock interview, “I will get so much out of this internship.” Wrong. Most employers don’t care what you will get out of this. They want to know what value you bring. Even interns are expected to add value to their experiences. Career Practitioner tip: Help your clients change their perspective of the process and really try and understand what the company and the interviewers are looking for. Focus on their 5 or 6 essential skills that add value to the company, in particular identifying where those skills solve company “pain points”. Behavioral questions are fairly common now. Employers are looking for ‘stories’ that demonstrate your thinking, action, and/or skills you used in the past. If you did good work in the past, you most likely will do similar work in the future. Many interviewers found the candidates not prepared to answer this type of question. Career Practitioner tip: Work with your clients on having at least 5 stories of accomplishments or successes that highlight their skills told in the SAR model (Describe the Situation, the Action steps, and the Results). These are also called STAR or PAR models. Many of these stories can be adapted to answer a wide variety of questions. This article at The Muse is a great place to start practicing answers to some common behavioral questions. (The Muse). 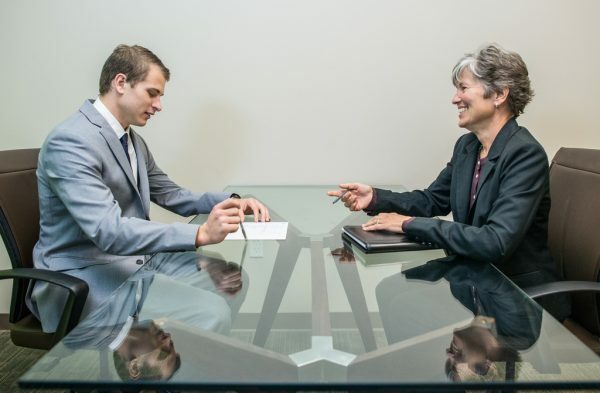 Career Practitioner tip: Mock interviews are so important for many people. We need to make sure our clients are sending the message that they are sensitive to and aware of company culture. We need to encourage our clients to do their research on the company across all their social media platforms. (Proper Planning Prevents Poor Performance). NOTE: Special thanks to all of you who completed my survey on interviewing which was the core of this blog, and my blog on interview trends. As always, I appreciate hearing your thoughts on this topic. What do you see as the biggest mistakes people make during an interview? Read my other blogs on interviewing here. You are welcome Chris, glad you found value in this blog.